There are so many amazing new routes coming up for Azamara Club Cruises and the new Azamara Pursuit. I’m very excited about many of them, but I’m especially excited about the 15-Night Wonders of Iceland voyage. Iceland is such a wonderful country with so much to see and do that it only makes sense for Azamara to dedicate a whole itinerary to exploring it. 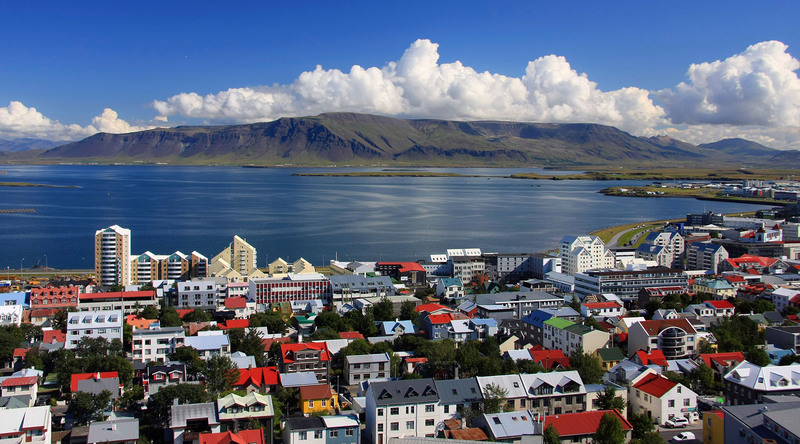 Like anyone flying into Iceland, the cruise makes an overnight stop in the vibrant capital city of Reykjavik. This is fantastic because Reykjavik is maybe even better seen at night than during the day. Reykjavik’s nightlife and night sky are legendary and their restaurants are very underrated in my view. So this is an excellent chance to try it all and see for yourself. In town, Reykjavik is very walkable. It’s a great place to shop, eat, drink and sightsee. The biggest and most well-known site is the cathedral. Make sure you go inside as well to experience the incredible acoustics. From the cathedral, you also get the iconic view looking back at Reykjavik to make all your Instagram followers jealous! Around Reykjavik, there is much to do. Nothing in Iceland is more famous than the Blue Lagoon. You’ve all seen photos of this volcanic spring with an amazing azure color and white mud that you can douse all over yourself! It’s touristy for sure, but as I always say, tourists usually go to good places! There are two big advantages to cruising around Iceland: you don’t have to drive, and you don’t have to constantly change accommodations. Iceland is not a big country but it has a decent amount of land and things are spaced out, especially along the coast. Cruising allows you to never have to move hotels, yet wake up in a different awesome place each morning. I’ve driven in Iceland several times and while it’s very adventurous, it’s also complicated and confusing. If you wanted to drive yourself you could easily hire a car and do a day trip from Reykjavik to the stunning waterfalls and national parks not far away. The voyage will also stop at Isafjordur, Akureyri, and Seydisfjordur so you’ll get to see a lot of the coast: particularly the amazing sights and sounds of glaciers calving and the beautiful fjords. I haven’t been to any of those places, so I am excited to check them out! Iceland has become one of the most sought-after destinations in the last few years. It has great wildlife, interesting Viking history, and 24 hours of daylight in the summer so you have a lot of time to do things! It’s such a great place that I hope everyone gets to experience it. Learn more about Azamara's August 2018 voyage to Iceland here.